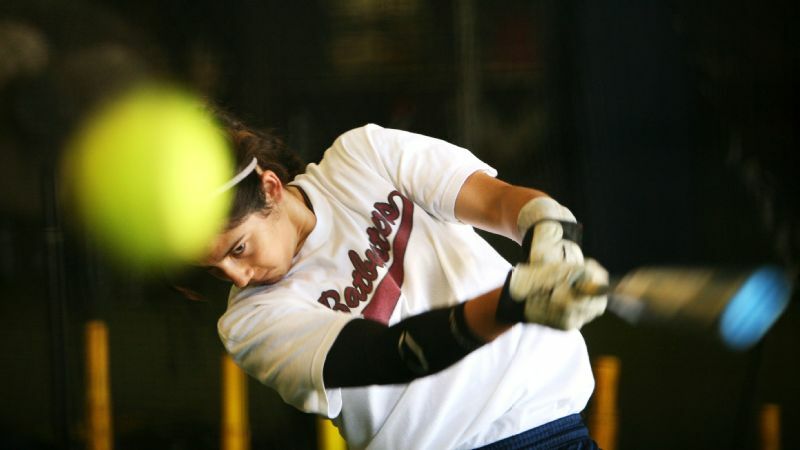 Savannah Rennie went from the Indiana University Transplant Center to the Cal hitting lines in a matter of four months. Savannah Rennie had just one wish on this recent September night, and she whispered it so her ears alone could hear. "Get me on the court right now." Her first volleyball practice without any restrictions in more than a year was still hours away. She'd be able to sprint. She'd be able to jump. She'd be able to hit. She'd be able to dive. "I was given a second chance and now I'm going to make the most of it," Savannah Rennie says. 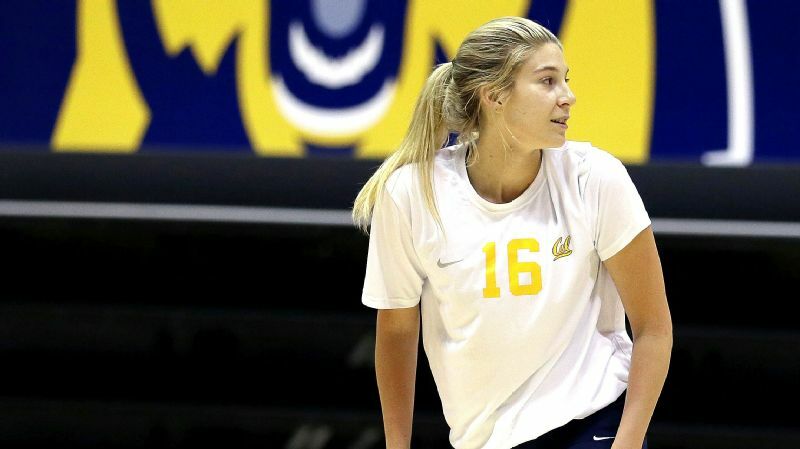 The 19-year-old redshirt freshman outside hitter at Cal would be able to be herself again. Savannah, the volleyball player. 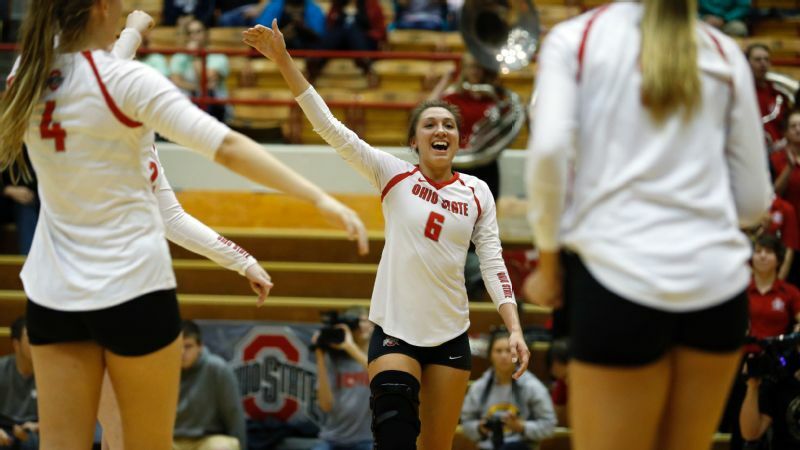 It was an identity stolen from her as she battled congenital hepatic fibrosis with portal hypertension -- a rare disease that took her off the court and threatened to take her life. A successful liver transplant saved her. 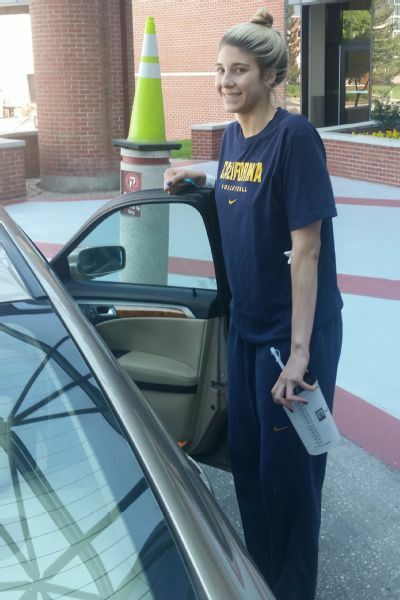 Not even four months had passed since the operation, but Rennie felt no fear as she stepped onto the court at Haas Pavilion in Berkeley. She never has. Not when she taught herself to ice skate at 2 years old and to swim and ride a bike at 3. Not when she struck out boys in baseball and craved the bat when the bases were loaded with two outs. "She'd be the fireman that runs toward the fire," said T. Pat Stubbs, Rennie's former Del Mar (California) Little League all-star coach. A Cal teammate set the ball to Rennie in hitting lines. She rose up, took her first swing and smashed the ball down. 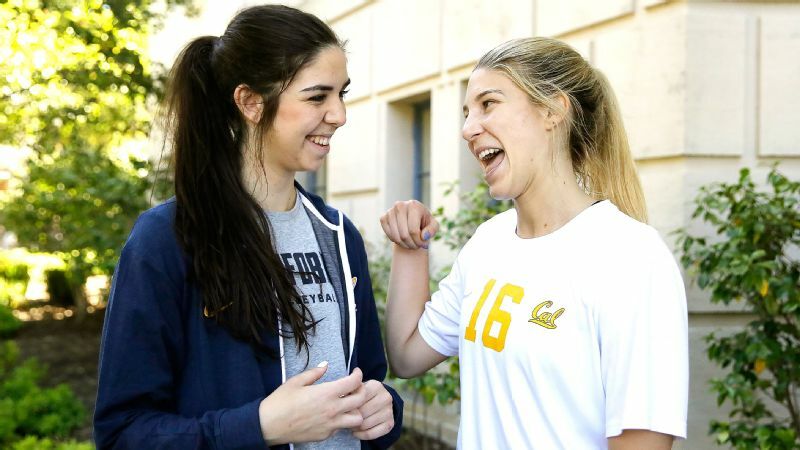 For Rennie, who could play in her first Division I match when the Golden Bears host Utah on Friday, the hit was more than a hit. "I am where I am today because I'm strong enough," Rennie said. "I was given a second chance and now I'm going to make the most of it." 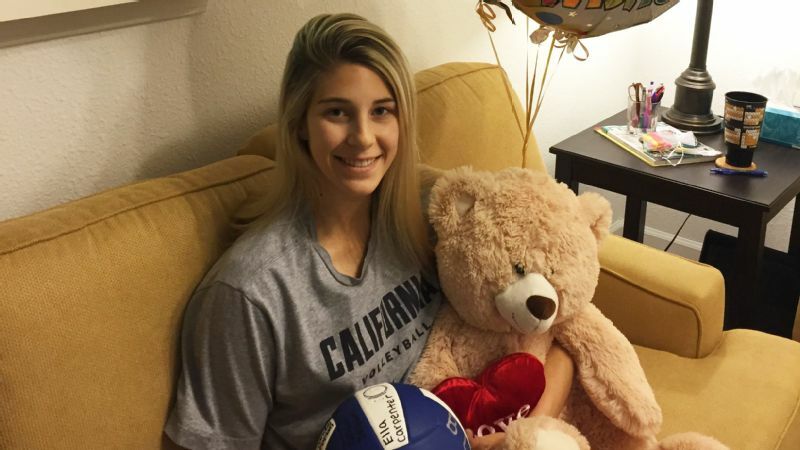 With a new liver, Savannah Rennie turned her attention to returning to the Cal volleyball team. 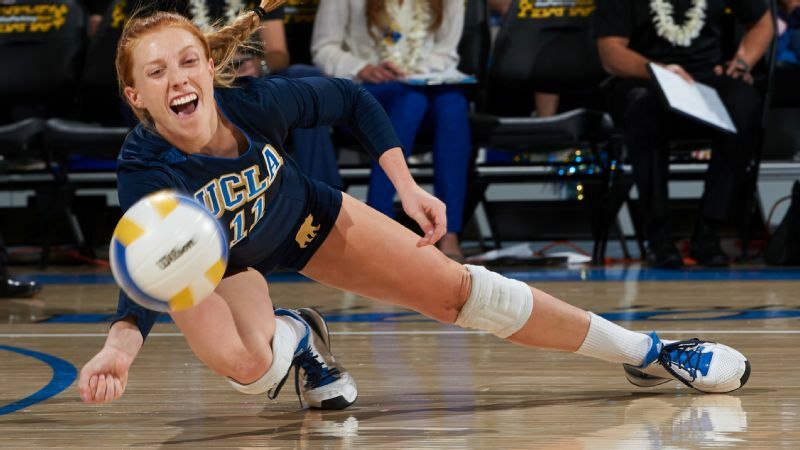 On June 3, 2015, Rennie returned to her parents' home in San Diego after a night of volleyball. She felt a pounding headache and then nausea. She had a 103-degree fever that rose to 105 in the early hours of June 4. Her abdomen throbbed and she couldn't eat or drink. She made multiple trips to urgent care before being admitted to the hospital for eight days. Twelve doctors plus a liver specialist administered test after test as Rennie's liver rapidly expanded in size. Savannah Rennie cheered on the men's basketball team in February before heading to Indianapolis in March to wait for a liver. She became septic, a life-threatening condition in which the infection in the body invades the bloodstream. Rennie worried she wouldn't make it in time for Cal summer school and training camp. 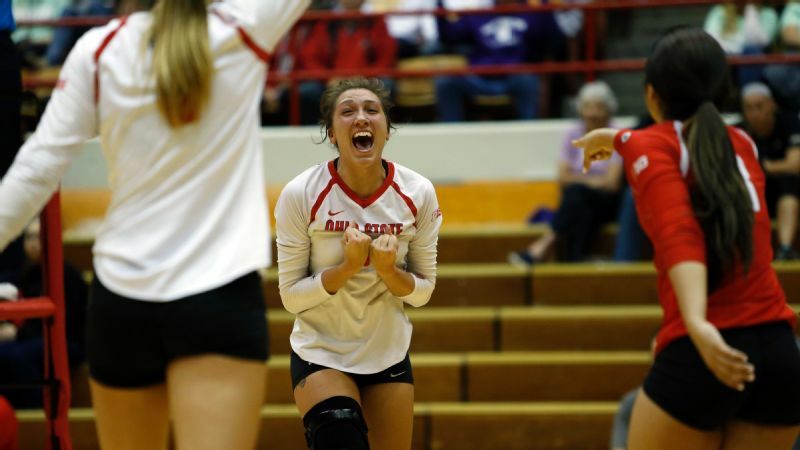 "Savannah doesn't take no for an answer," said her mother, Renee Giroux-Rennie "She's just: 'Volleyball is life,' and whatever it takes, that's what she's going to do." Doctors couldn't pinpoint a diagnosis but managed to get her sepsis under control. She went 500 miles to Cal, taking antibiotics to manage the pain. Until she couldn't. One day she passed out while standing in line for coffee and returned to the hospital for six days. She went back and forth from Cal to San Diego for more tests, like the one that removed a large wedge of her liver, almost like a slice of pie. Growing more ill each day, developing pancreatitis after a test, she felt powerless: "Why me? Why, at the peak of my athletic career at 18 years old, am I going through this?" Rennie said. "I always had that constant, living on the edge of fear like, 'What is going on with me? Am I going to be OK tomorrow? Am I even going to wake up tomorrow?' " she said. "I didn't know if I was ever going to be on the court again." She contributed any way she could in practice -- shagging balls, keeping score and refereeing. 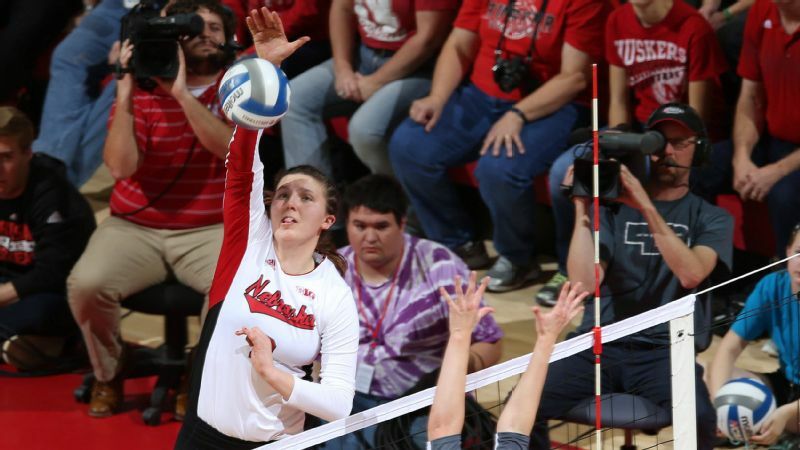 "She'd stay late after practice," said freshman outside hitter Maddie Haynes, Rennie's best friend. "If she could just have a hand on a volleyball, that would make her happy." Sometimes, though, she could barely stand up. Cal coach Rich Feller would tell her to leave so she could lie down. "No," Rennie said. "I'm staying." She became the whiteboard guru, rewriting Feller's practice plans -- squares, circles and boxes -- and ensuring all the numbers and lines were immaculate. She relished the feeling of having a role on the team. 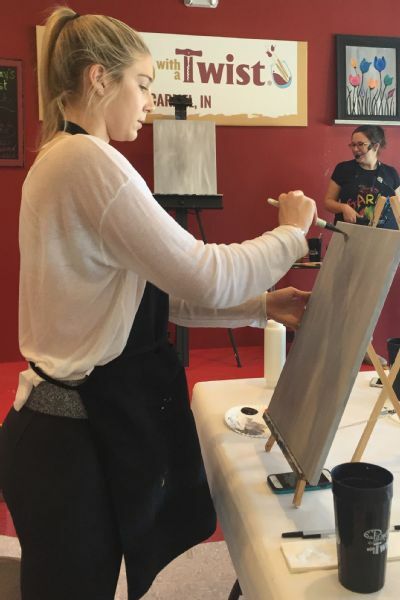 After obsessing over Cal's whiteboard, Savannah Rennie turned to painting in Indianapolis to pass the time waiting for a liver. "She decided that she would fight the same way she'd fight an opponent," Feller said. "'How fast can I get back? How fast can I do something that the doctor said I shouldn't be doing yet?' And when she wins one of the battles, she moves forward and tries to win another." By mid-September 2015, doctors finally diagnosed the disease, which typically affects infants, many of whom die at birth, or seniors, as the disease stays dormant until late in life. Rennie, 18, was an anomaly. She needed a cure -- fast -- because her liver kept enlarging due to the backup of bile from the organ. That backup entered the blood stream, making her septic and thus at risk for death. She had been taking medication, including a form of bear bile called ursodiol. "I'm the only true California Bear on this team because I have bear bile," she'd joke, managing a smile. For the first time, she had hope. But she became septic from Thanksgiving through Christmas. Doctors worried they couldn't prevent it from happening because she was growing resistant to the antibiotics, which were crucial to keeping her alive. A liver transplant was the only option. While awaiting the transplant, she'd manage her pain by arriving at Haas Pavilion, her sanctuary, every day at the sleepy hour of 5 a.m. to hang IV bags of antibiotics and fluid out of her arm. She finally moved to Indianapolis in March 2016, with her mother, to receive care at the Indiana University Transplant Center. And wait. She was offered a liver toward the end of the month. But the liver was "high risk," which means that the donor had participated in one or more of 13 high-risk activities, including drug addiction, incarceration and receiving IV fluids. Not knowing which activity, and terrified of potential consequences, Rennie declined the liver. Finally, on May 16, she was offered a healthy liver and accepted. The operation, which usually takes four to six hours, began at 6 a.m the next day. The doctor came out at 8 a.m. to speak with Rennie's parents and Haynes, who was tweeting updates. "It could not have gone any more perfectly," the doctor said, shaking his head in disbelief. Savannah Rennie laughs with teammate and best friend Maddie Haynes after Rennie's first practice back at Cal in August. Rennie has not lost her competitive fire -- the same fire that expected to bat a thousand as a 13-year-old baseball player. The same fire that wanted the ball in the big moments as a high school volleyball player. 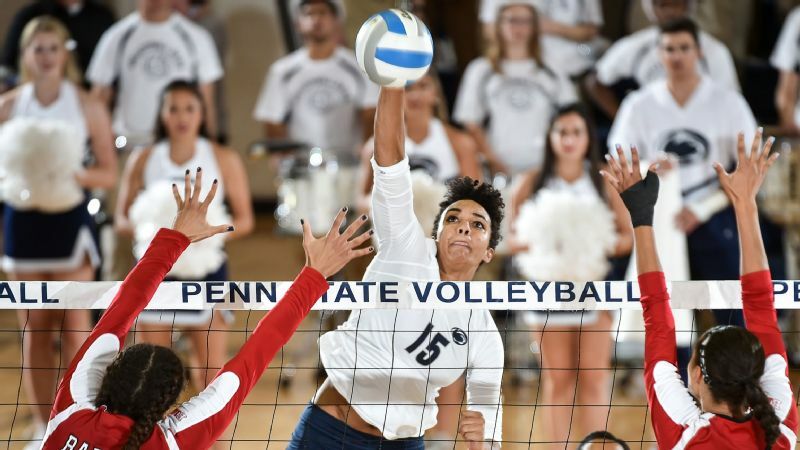 "She handles that pressure," said Brennan Dean, her former coach at Torrey Pines High School and WAVE Volleyball Club. "She thrives in it." Savannah Rennie, six days after receiving a new liver. Rennie knows it is practically unheard of to return to the court and potentially play in a Pac-12 match for Cal (6-8) just over four months post-operation. But she still wants more. Sometimes she struggles to accept that she isn't able to jump as high or move as quickly as she used to. "She's way further ahead than anyone expected her to be," said Feller, who thinks Rennie is physically ready to contribute in a match. Her next chance will be against Utah on Friday. Or possibly Sunday against Colorado. On Oct. 14 against Arizona, Cal will host "Be The Match" night, an organ donation awareness event, in Rennie's honor. A representative from Donate Life will be on hand to educate fans about organ donation, and discounted tickets will be available for those with proof they have registered as an organ donor. After one recent practice, Rennie taped her iliotibial band, which runs down the thigh, after she felt a strain. "What do you mean?" Rennie said. "You've got tape on for an athletic injury. It's an athletically related thing," Feller said. "That for her was a big step and an adjustment, like, 'Look, I'm an athlete again.' "
Rennie isn't afraid to show her scar, which stretches across her stomach and resembles both the Mercedes Benz and Air Jordan logos. She wears the same necklace every day: a silver bar with the date of her surgery, May 17, 2016, in roman numerals, honoring, in her own words: "The day I got my life back." "This is a young lady who literally looked death in the face," said Stubbs, her former baseball coach. "She said, 'Not me, not today. I have much bigger plans.' 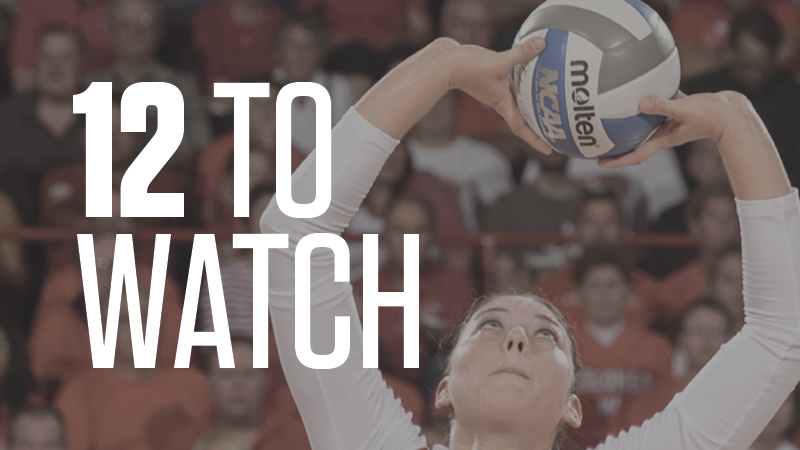 "
Is volleyball's reigning MOP even better? Was recruiting meant for middle schoolers?